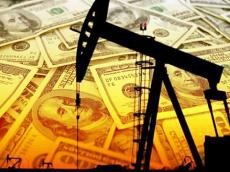 Among the main drivers of oil prices in 2019 several of them will be bullish and some of them bearish, Francis Perrin, Senior Fellow at the OCP Policy Center (Rabat) and Senior Research Fellow at the French Institute for International and Strategic Affairs (IRIS, Paris) told Trend. The first ones include a growing world oil demand (+1.4 million barrels per day to 100.6 million b/d in 2019, according to the International Energy Agency), output reductions by OPEC and several non-OPEC countries (-1.2 million b/d, of which 800,000 b/d by OPEC countries and 400,000 b/d by non-OPEC countries), US sanctions against Iran and the political, economic and social crisis in Venezuela, said the expert. He pointed out that the US sanctions already led to a strong fall in Iranian oil production and exports in 2018. "Between spring 2018 and November Iran's crude exports fell from about 2.5 million b/d to less than 1.3 million b/d and the Trump Administration wants to reduce them to zero. Even if this goal is too ambitious the US will go on applying strong pressures on buyers of Iranian oil in order for them to stop importing crude from Tehran," said Perrin. The expert believes that bearish trends include a rising US crude oil production, which reached 11.5 million b/d in November. "This output was 9.4 million b/d in 2017 and about 10.9 million b/d in 2018 and it could reach 12.1 million b/d in 2019. The US, which is already the largest liquids producer, will become at the beginning of 2019 the largest crude oil producer before Russia and Saudi Arabia thanks to its unconventional crudes." Other bearish factors, according to Perrin are the uncertainties about world economic growth, which will obviously impact oil demand, and international trade tensions, especially between the US and China. "Traders on the oil market are closely watching all the signals emanating from the negotiations between these two great powers. Trade tensions have a direct negative impact on world economic growth and an indirect negative impact on world oil demand." The most important bearish factor is the rise of US unconventional oil production, the expert believes. "The most important bullish factors are output reductions by OPEC/non-OPEC countries, sanctions against Iran and the fall in Venezuela's oil production." He recalled that world oil prices fell between 2013 and 2016 (four consecutive years) and rose in 2017 and 2018 (annual averages). "Brent average price was about $44 per barrel in 2016, $54/b in 2017 and $71/b in 2018 despite a strong fall over October-December 2018. Brent closed at $60.64/b (March contracts) on 15 January 2019, not a bad start after a dramatic fall between the beginning of October and December 2018." 2019 could be a fairly good year for producers despite some bearish trends if they strictly implement the output reductions decided in December 2018, according to Perrin.